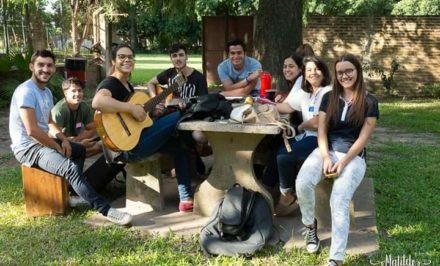 The Schoenstatt Movement of the Diocese of Brownsville, Texas, celebrated the Feast of Mary as Queen of Heaven on August 22, 2017. This year’s celebration was held at St. Mary’s Catholic Church in Santa Rosa, Texas. 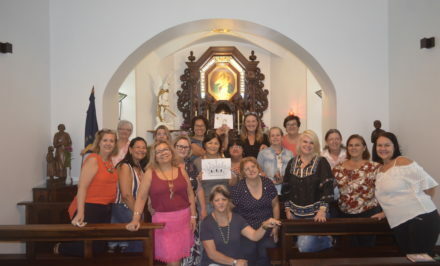 This parish holds the distinction of being one of the two parishes where Schoenstatt had its beginnings in deep, South Texas. 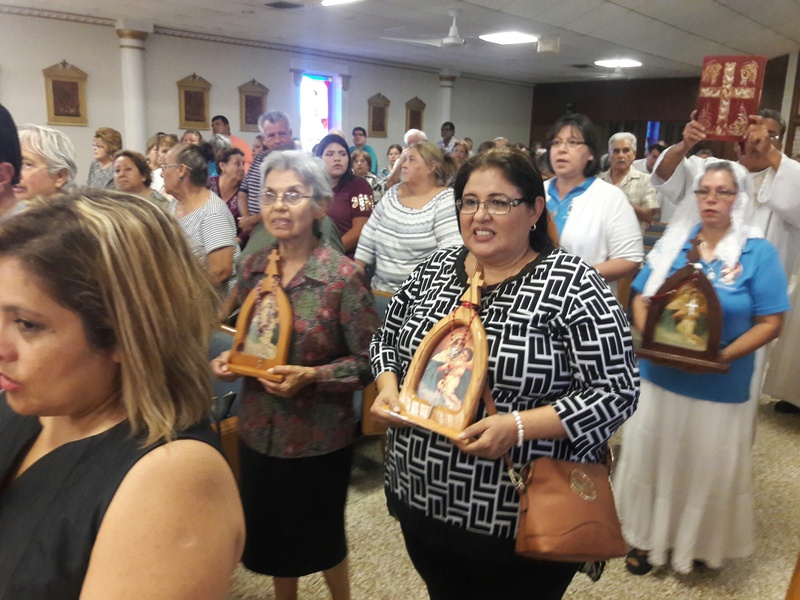 Two Schoenstatt Sisters of Mary came to work at St. Francis Xavier parish in La Feria and its mission, St. Mary’s in Santa Rosa. The two are now parishes six miles apart. St. Mary’s is also home to the second Wayside Shrine erected in the Brownsville Diocese and bears the name of Shining Star of Hope. The little Wayside Shrine is always beautifully decorated and is visited often, not only by Schoenstatters, but many parishioners as well. Presiding at the Eucharistic celebration was the Most Reverend Daniel E. Flores, Bishop of the Diocese of Brownsville. Concelebrating at the Eucharistic celebration was Fr. 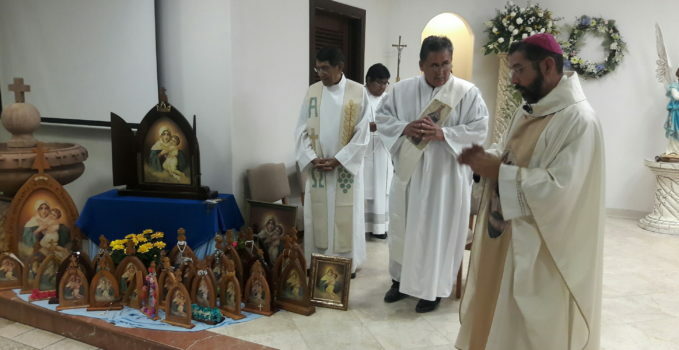 José Garza, pastor of St. Mary’s, and Schoenstatt Father, Fr. 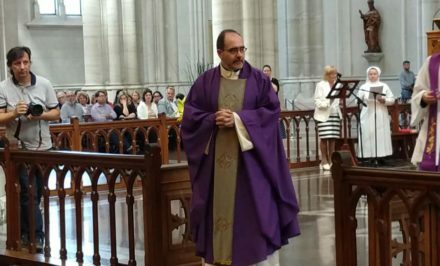 Héctor Vega, adviser to the Schoenstatt Movement in the Diocese of Brownsville. 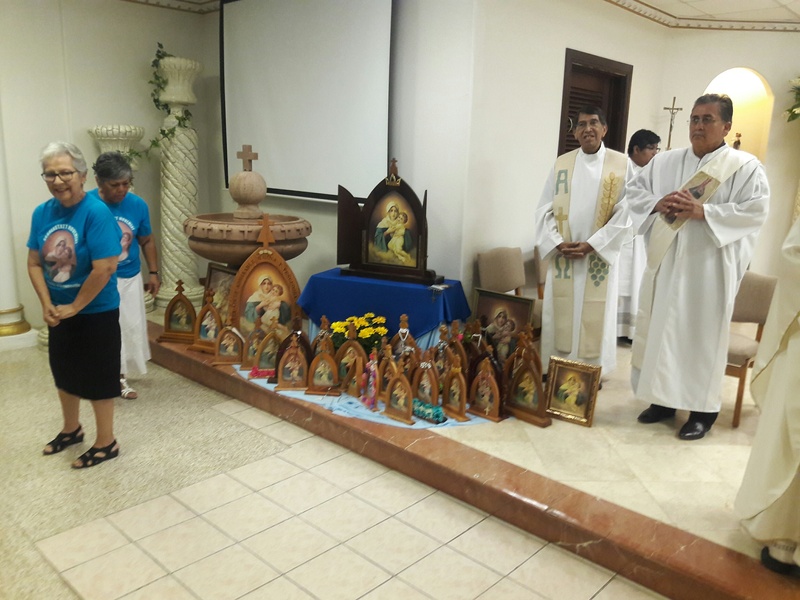 Also representing the Schoenstatt Sisters of Mary from the Confidentia Shrine and Center in Lamar, Texas was Sr. M. Mara Medina. The Auxiliary MTA image, representing the Schoenstatt Rosary Campaign in the diocese, led the entrance procession at the beginning of Mass, followed by fifty Pilgrim MTA’s with their respective coordinators/missionaries carrying them. Mr. Ruben Bosita led the choir’s joyous sounds and added to everyone’s experience with great joy as hearts full with thanksgiving upon seeing the Pilgrim Mother images that is visiting so many homes, bringing Christ and his peace during these troubled times. 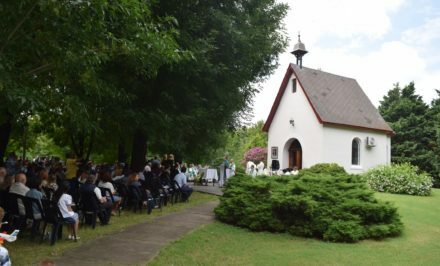 In his homily, Bishop Flores expressed his appreciation for the Schoenstatt Movement in his diocese. He spoke of the Blessed Mother’s impressive image, and how as we look at her, she looks at us, we begin to pray. 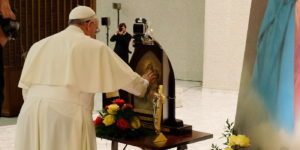 He also mentioned the significance of praying as families and the importance of the Rosary. Bishop Flores exhorted us to look to Mary, have faith like Mary, and that like Mary, everyone could say that with God all things are possible. After the bishop’s homily according to what has been done traditionally, everyone rose, expressing in silence his/her deep desires to the Queen, and then everyone prayed together first in English and then in Spanish, HAIL HOLY QUEEN! After Holy Communion, everyone renewed the Covenant of Love in both English and Spanish. Fr. Héctor Vega led everyone in this covenant renewal. After Holy Mass, refreshments and fellowship followed in the parish hall, and as always, it was a joy visiting with and greeting the dear bishop who again reminded us about his mother’s special devotion to the Mother Thrice Admirable, Queen and Victress of Schoenstatt.